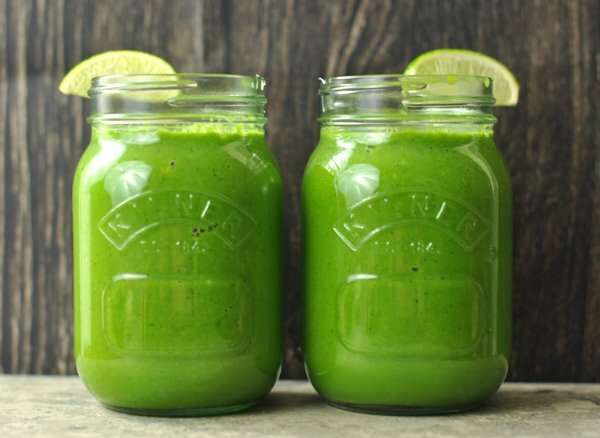 Home Eco-Friendly Eating Superfood Smoothies: Start your Day the Right Way! Superfood Smoothies: Start your Day the Right Way! I love to eat smoothies! They’re really easy to make in just a few minutes and superfood smoothies make the ultimate snack or meal to take on the road. I usually blend up enough for three smoothies–I eat one as soon as I make it and then the other two go in bottles to eat later that day or the next one. In order to make them as healthy as possible, I try to pack in a whole bunch of superfoods. They are very healthy for you, for a variety of different reasons which I’ll outline below. Trying to gain weight? Go with more nuts, more fruit and liquid that is not water (yogurt, almond or walnut milk, coconut water, etc). Trying to lose weight? Go with more greens and other vegetables and water for your liquid. Looking for a Smoothie Blender? Oh, and if you’re looking to get a blender to mix up all your superfood smoothies in, check out this useful article: Top 5 Blenders. I personally use the Oster Versa and love it! Now, the List of Smoothie Superfood Ingredients! Walnuts. They contain alpha-linolenic acid which can aid memory and coordination. Almonds. A ton of good stuff in here, including lots of calcium for the vegans. Steel-cut oats. Not processed, they’ll release energy slowly throughout the day and keep you full for a long time. Sunflower seeds. They contain a high dose of vitamin E, which fights infection and helps your heart stay healthy. Flaxseeds. They contain plant-based Omega 3’s which do a whole host of good things for your body! Apples. They have quercetin which can reduce your cancer risk. Avocados. Their healthy fat will help your body absorb all the other nutrients and also keep you full for a long time. Bananas. Lots of good fiber. Blackberries. A ton of antioxidants–more than almost any other berry. Blueberries. They help prevent inflammation in your brain, improving its function. Carrots. A ton of vitamins as well as antioxidants. Be sure to eat lots of those bright coloured foods! Kale. A million and one reasons to eat this leafy green superfood. Kiwis. A delicious vitamin C powerhouse! Oranges. Not only vitamin C, but potassium and folate as well. Spinach. A vitamin K powerhouse which helps your blood clot and builds strong bones. Strawberries. They contain ellagitannins, a phytochemical that can halt the growth of cervical or colon cancer. Love to Eat Superfood Smoothies? Please comment below and share your secret recipe with us! Or, just a few of your favourite ingredients that you’re sure to put in every single smoothie that you make.